Dwarf bushy shrub with small ovate to lanceolate, grey-green leaves, silvery white underneath. Attractive fluffy catkins in spring, opening from yellow buds. 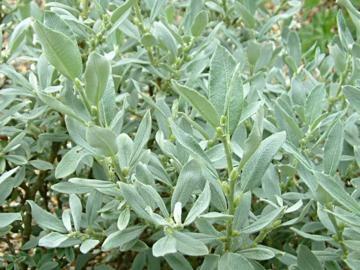 The young stems, leaves and catkins are covered in very fine, soft, grey hairs.